Is Aurora, Oregon A Speedtrap? The entire city of Aurora, Oregon is a trap – just sneeze the wrong way and you’ll get busted. It’s a one horse town with small town minds. Very dangerous place to drive through. Doesn’t matter if it’s 99E thru town or the side streets like Airport Rd – you’ll get a ticket for your right front tire not inflated correctly! Not worth the headache – try and use Hwy 551 to avoid the city. Interestingly, this link to a recent report on monthly patrol statistics shows just 7 traffic stops in one month. Such divergence on this issue suggests that reality may be somewhere between these differing views. Some contend Aurora’s limited public safety resources may be put to better use than catching speeders. Others suggest that even if Aurora is a speedtrap, it’s good if that keeps people safer. So please take our poll below. 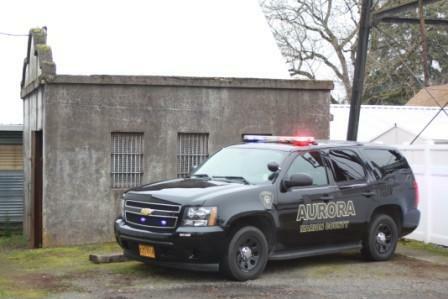 Do you consider Aurora, Oregon a speedtrap? Law abiding citizens shouldn’t have a problem, should they?